France conducted 193 nuclear tests on islands of the Tuamoutu Archipelago in French Polynesia, namely the Mururoa and Fangataufa atolls, between 1960 and 1996, until President Jacques Chirac suspended the program. The Lawrence Livermore National Laboratory in California has uploaded more than 250 videos of previously classified nuclear tests to YouTube for you to marvel at – or lose sleep over. 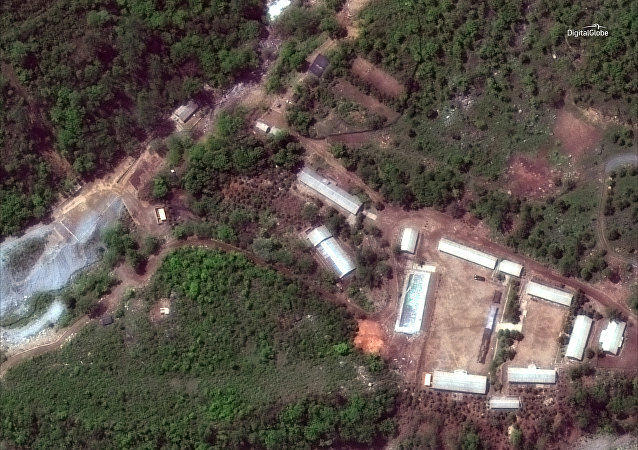 The dismantling of North Korea's Punggye-Ri nuclear test site shows Pyongyang's peaceful intentions, the Nuclear Weapons Institute Deputy Chair Kang Kyung Ho told Sputnik. 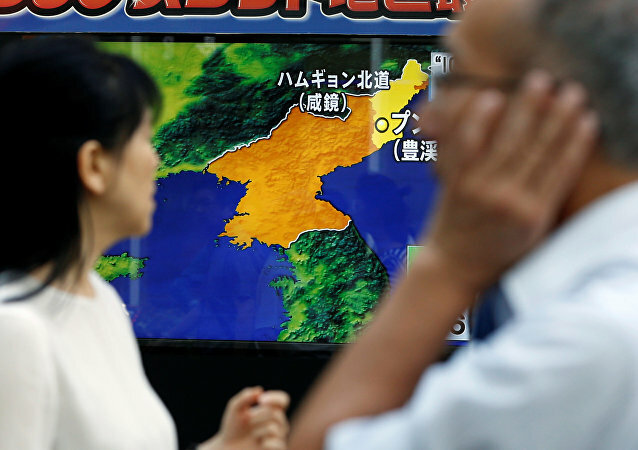 MOSCOW (Sputnik) - The closure of the Punggye-ri nuclear test site in North Korea may take place on Thursday if the weather conditions are favorable, a North Korean official told South Korean journalists who are expected to cover the event. Earlier this month, North Korea said it would allow journalists from South Korea to attend the shutdown of its nuclear test site. However, North Korea has not accepted the list of journalists wishing to cover the dismantlement that the Ministry of Unification of South Korea recently sent to Pyongyang. It was reported that demonstrators in Seoul took to the streets to push for reunification of the two Koreas with some of them holding placards saying that President Trump deserves the Nobel Prize. Radio Sputnik discussed what underlies the recent breakthrough on the Korean Peninsula with Lee Sung-yoon, a Korea expert at Tufts University. As peace and disarmament summits with both South Korea and the US grow near, North Korea’s main nuclear test site remains “fully operational,” according to 38 North, a US watchdog website devoted to analyzing the isolated Democratic People’s Republic of Korea, north of the demilitarized zone on the northern 38th parallel. 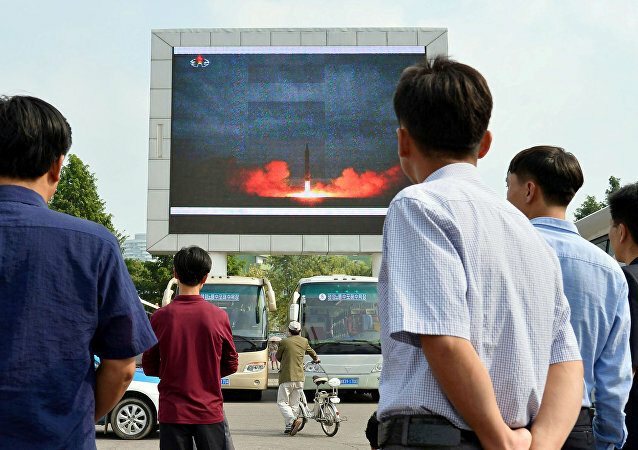 North Korean leader Kim Jong-un declared that Pyongyang no longer needs to continue ballistic missile and nuclear weapons testing, according to the state-run KCNA news agency. Researchers from Sandia National Laboratories, who mainly focus on developing non-nuclear components for the US arsenal, have demonstrated the way they test nuclear weapons. MOSCOW (Sputnik), Tommy Yang - Following what is being described as a "charm offensive" from the DPRK during the Olympics, when dozens of North Korean cheerleaders chanted in front of a global audience, Pyongyang could be ready to offer the suspension of nuclear tests as a peace gesture to kick off negotiations with the US, experts told Sputnik. On February 13, 1960, France carried out its first nuclear test in Algeria's southern Reggane region. According to official statistics, 17 nuclear tests were carried out in total over the next 6 years. 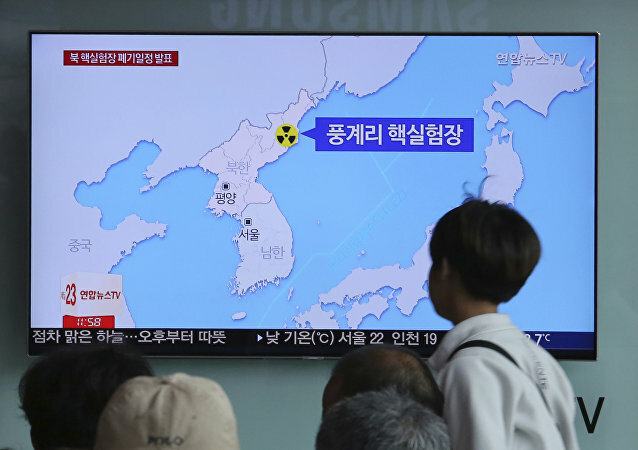 The area remains affected, and local scientists say that radioactive contamination has caused genetic mutations and irreversibly changed the region. Despite international condemnation Pyongyang has conducted six nuclear bomb tests in tunnels beneath the mountains of Punggye-ri since 2006. Sixty-two US nuclear bomb tests from the 1940s, 50s and 60s were declassified over the weekend by the Lawrence Livermore National Laboratory (LLNL), a federally funded research and development center in California. The Lawrence Livermore National Library in California has released a collection of over 60 newly declassified videos of US nuclear tests. The eerie footage highlights the frightening firepower of weapons which would have been used to annihilate the world had the Cold War ever gone hot. While the State Department hasn't completely ruled out the idea of talking with Pyongyang in the future, Republican Senator Lindsey Graham has insisted that the use of force is the only option. 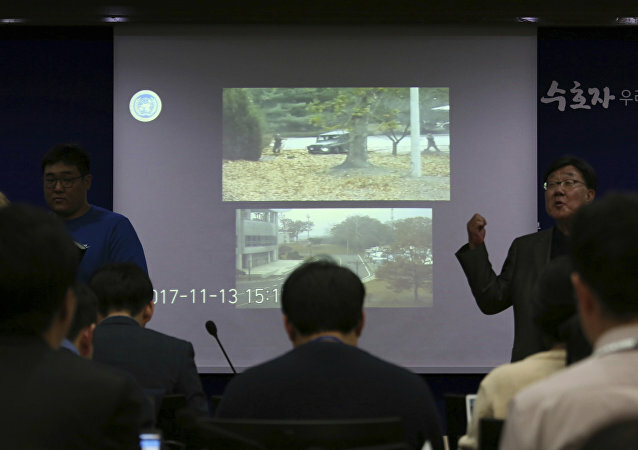 Three American experts on North Korea claim that Pyongyang is preparing for another nuclear test at its Punggye-ri test site, despite reports that the facility is falling apart due to the aftershocks of their previous test on September 3.